What a time to be alive in Paliano! The pieces are all in place, the lights are lit, and the game is about to begin. 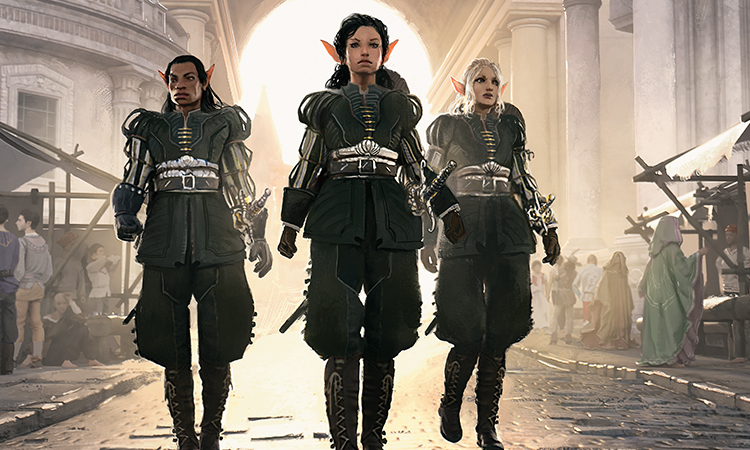 In these uncertain times in Paliano, information is as valuable as any treasure, and no one knows that better than Ambassador Leovold of Trest. He will exchange what he has collected with the right people, for the right price. Party planning takes time. Why, the last time we held an event at the embassy, I spent a week doing nothing but negotiating with interior designers and patissiers to ensure that our decorative emblems were correct and complementary shades of blue. The queen claims that Brago left a will naming her his heir, which is laughable enough (I don't mean to disparage the spectrally advanced, but estate planning rarely enters into their concerns), but let's talk about the true proof of her deception—on the very day that she announces her ascension, the throne room is immediately decorated in Black Rose tapestries, the guards all have Black Rose emblems on their shields, there are Black Rose flags flying over the capital. The citizens are openly wondering how she managed to convince the Custodi to legitimize her crowning, but I just want to know how she managed to commission this much embroidery from every seamstress and tailor in the city without anyone noticing. Now to the matter of Brago's death. (Second death? Additional death? I didn't know we needed a term for this, but apparently we do.) 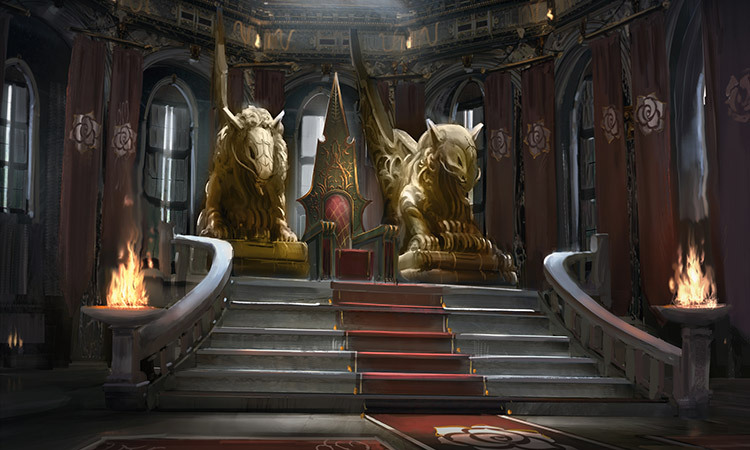 My access to the new queen's court has been limited, but the best picture I can piece together from rumor and innuendo is as follows: an assassin infiltrated the palace, by some accounts walking through stone walls, in order to reach Brago's chambers. Exactly how you kill (permanently kill? Extra kill? I'm going to task a writer to come up with a term for this, or it will drive me mad) a ghost remains unknown, but visitors to court say that the new queen's crown seems to glow with the same spectral energy that used to be associated with the visage of Brago himself. More information will be forthcoming once my associate can re-establish lines of communication with this new monarch. Forgive the cliché, but we must reach out carefully, as this rose is defined not by her petals but by her thorns. 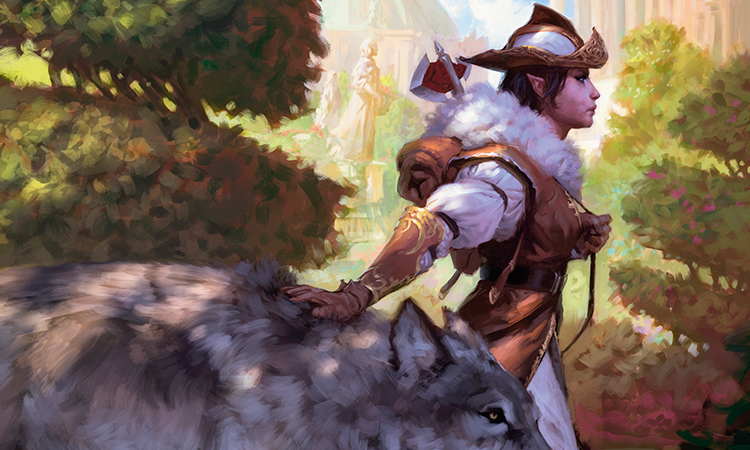 A delightful young woman whose taste in hats is beyond compare, Selvala has twice been brought into conflict with the city she tries so very earnestly to love. She drafted the Charter alongside Brago (back when he was several notches more alive than today) and guided it through ratification. Her thanks came in the form of betrayal and imprisonment. She retreated to the hinterlands, only to be drawn into the city's affairs once more as the nobles of Paliano took to using exotic beasts as replacements for Muzzio's artificial servants. I spoke to Selvala at a riverside cafe and extended our hand in friendship—did you know that she still has cousins in Trest with whom she corresponds regularly? (A summary of those correspondences has been made available through the State Security Act, and are available for review.) We spoke at length of her current predicament—the newly minted queen will not entertain Selvala's presence in court, and she has little interest in allying with Captain Adriana, due to the latter's indifference to issues that she holds dear. I suggested that perhaps Paliano had been ruled by humans and their ghosts for too long, and that it might be time for someone capable who truly cared about harmonious rule to assume a caretaker role. She replied with a look that I know well: ambition, not for its own sake, but to right a greater wrong...with just a touch of anger to fan the flames. Before we parted, I made it clear that her cousins back in Trest would be extremely interested in supporting her in any of her future endeavors, whatever they might be. I spend a great deal of time observing the young people of Paliano; their behaviors are as endearing to me as they are baffling. Among the colleges of the elites and the markets and guilds of the lower classes, the mating rituals of human youth are on open display. Oh, such delightful dramas unfold! Perhaps the most common tragedy, and the one most often put onto the stage, is the tale of unrequited love. Alas, poor Adriana. Her love for the city is firm and unyielding, yet when Brago's end came, the city showed that it has, in fact, no love for her. 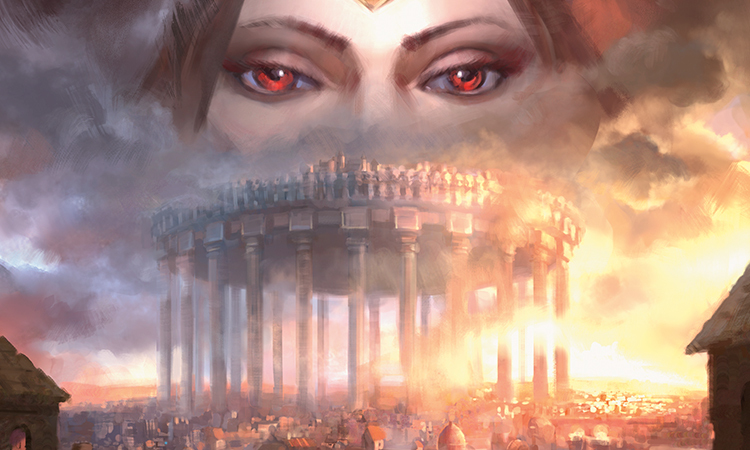 She has only narrowly survived the queen's ascension, and, bold as she is, I believe she can continue to rely on unannounced visits from the queen's emissaries until one of them proves successful in persuading her to join her king. Before that end comes, however, she seems to have her heart set on causing as much unrest in the name of righteousness as possible. I reached out to her via messenger, but the messenger returned with a broken nose and a completely ruined shirt. The nose will heal, but alas, I believe there is nothing to be done for the shirt. It remains to be seen precisely what sort of stage production this will be. Will our noble heroine win over the object of her affections and usher in a new age of peace, equality, and prosperity? Or will her hopeless egalitarian utopia prove as ephemeral as the king she once served? Were I a betting elf (and I assure you, I am not), I would wager on the latter. Regardless, we have a front-row seat to this dramatic production, and further missives will be available at the intermission. There are two types of hunting beasts, in my experience. The first exists for the thrill of the chase and exults in service. You'll see these creatures chasing carriages or loping after horses, and hear their joyous roar in the air. The beast is no threat to the carriage or the horse. The creature simply loves to run. Then there are others. You wouldn't be able to tell them apart during the hunt, as they are both filled with pride and fulfillment as they chase their prey. The difference is one of purpose. The second kind tracks and kills because it was meant to do so; any playfulness or happy expression is coincidence or show. The beast hunts because it was created for this purpose. Today, perhaps, it kills what its master bids, but in the absence of all else, it would still kill. Marchesa is a creature of the second kind. I do not blame my predecessor for missing the signs. The carefully cultivated persona, the genteel "mother of assassins" role that she played for years, all of it seemed to be pointing toward a specific ambition: to exert control and influence from the shadows. In retrospect, the entire persona was a distraction. The throne was always her target. Always. In the streets, some call her usurper. I've heard scoffing references to her "power grab" in the void left by Brago, but her intent is not just to seize power. Within hours of taking the throne, there have been proclamations and policies, clearly drafted weeks and months before. All are aimed to consolidate her power, gain the nervous acceptance of the populace, and legitimize her rule—if her edicts are obeyed, then how can she not be queen? The next weeks and months will be crucial. The entire coup could unravel given the right nudge, but at the same time, a nudge from other parties could help consolidate her power. I have made an official outreach on Trest's behalf. You will be updated posthaste with Her Majesty's reply. I love goblins. I know what you're thinking, but it's true! 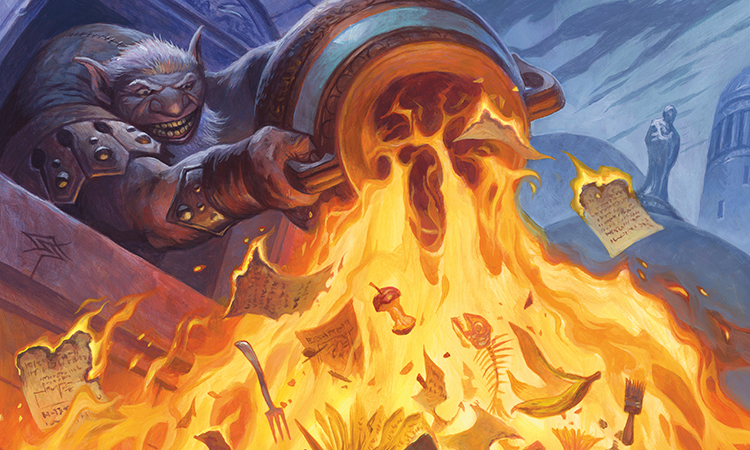 A goblin, by his nature, helps us understand ourselves. 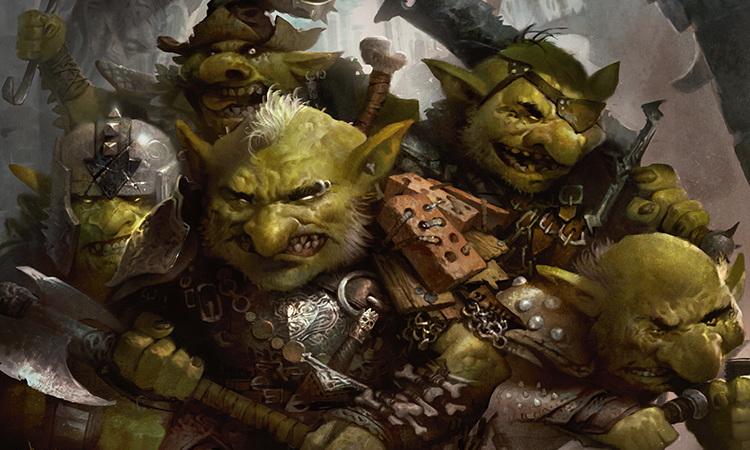 A goblin is everything we are not: aggressive, savage, uncouth, and loud. When a goblin truly embraces his nature, and becomes the pinnacle of what he is capable of, I cannot help but find him endearing. This would be the case with Grenzo, if I were not somewhat concerned that he and his rabble will murder me in the night alongside everyone I hold dear. In the absence of Brago's patronage (and it is entirely unclear what the inciting event was that led the former king to tolerate and encourage Grenzo's operations), Grenzo has adopted a different tactic, one that simultaneously surprises me more and less than the ones he has employed before—open rebellion. He incites mobs to violence, not directed at the new queen per se, but at the idea of the city itself. He has twice now taken advantage of large gatherings assembled by Captain Adriana, infiltrating them, turning a peaceful demonstration into a violent mob. His goals are now completely opaque to me—he is certainly not establishing himself in a position of power, unless you consider attempting to bring about the downfall of all positions of power a means to that end. Is this anarchy an actual political philosophy? I would like to give Grenzo the benefit of the doubt on this, as I have become fond of him over the years. Perhaps he actually mourns the loss of his king, and expresses it through rage? Doubtful, but I can't rule it out. Perhaps this chaos is at the new queen's behest? It seems out of character with her favorite sort of games. Or perhaps he is simply reverting to his baser instincts. Smashing and burning for the sheer glory of the sounds of broken glass, the dancing lights of the flames. Regardless, I have instructed my diplomatic staff to stay clear of any large gatherings, as the streets are more volatile than I have ever seen. Note: Last week, one of my diplomatic attachés interrupted a dead drop from one of the new queen's agents—imagine my surprise and delight when I discovered that the contents were nothing other than a dossier on yours truly! I take every word contained herein as a sincere compliment. Per your instruction, I have gathered the following information regarding the recently appointed ambassador from the city-state of Trest. He has been making his presence known in the city by hosting elaborate parties, banquets, and other displays with the express intent of "cultural exchange." The Trestians seem to struggle with our cultural norms, and opt for a display of wealth and supposed refinement, but attendees to these events describe them as gaudy and gauche. As the elves of Trest tend toward the primitive and backward, this is no surprise. 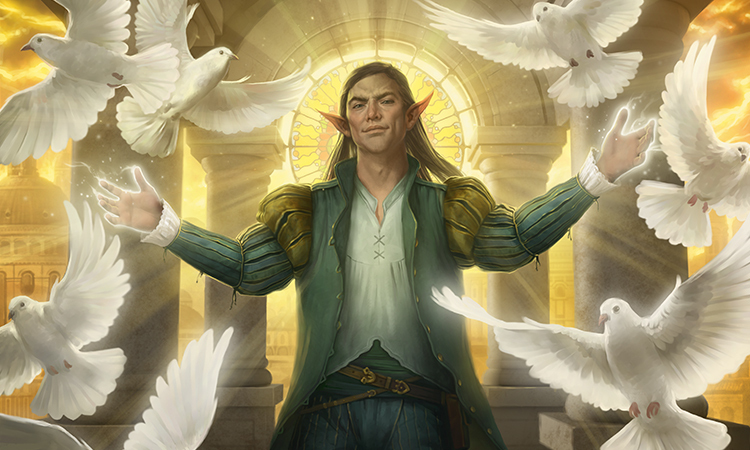 Leovold himself seems content to play the part of obsequious host and court jester, with his grand gestures and bold proclamations of friendship. It seems clear that he is trying to ingratiate himself with the nobility and commonfolk alike, with some success—the Trestian delegation is generally welcome in polite society as well as among the lower classes. The embassy does retain a small armed contingent of guards; given the size of the embassy staff, this is unsurprising, and while the guards seem well-trained, they are certainly not on any sort of aggressive footing, seemingly happy to wonder at the sights and sounds of the greatest city in Fiora. Now, there have been some rumors of members of the Trestian delegation being associated with minor diplomatic incidents—suspicion of being involved in espionage and the like. There are two potential explanations for these reports. Either Leovold and his attaches are engaged in highly sophisticated spying efforts against the state, or members of his delegation are simply prone to nosing around and occasional petty theft. I think the latter to be the much more likely explanation, but I admit, I cannot entirely rule out the former. I will continue to monitor the Ambassador's movements, but given our current situation, I do not recommend devoting too many resources to doing so. We have much more pressing matters at hand. What a time to be alive in Paliano! The pieces are all in place, the lights are lit, and the game is about to begin. All eyes are on the queen, of course, as she gears up to confront the renegade Captain Adriana. The city guard has been largely thrown over in favor of troops loyal only to Marchesa, but these are elevated spies and assassins, not a group trained in keeping order—most of them look as if they would be more comfortable holding a short blade in a dark alley, rather than sitting high atop a horse, covered in mail. The former guards? Some were imprisoned, but the prisons are a sieve! Grenzo has no desire to help the queen keep order, and he has largely abdicated his post. Adriana has managed to stage some rather daring rescues to bring her former guards to her side—there was a particular prison break that involved a domesticated hydra, a wagon full of meat pies, and a trio of infiltrators dressed quite unconvincingly as washerwomen, but I digress. 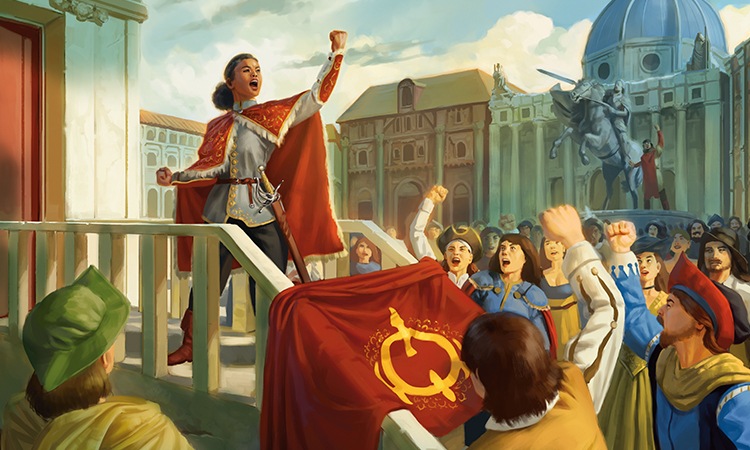 Captain Adriana claims to fight for the city, as if it were some sort of personified ideal. A delightfully poetic concept, but her tactics are more in the physical realm. Demonstrations too large to be peaceably put down. Coordinated strikes against some of the queen's former holdings. And speeches. Let's just say that the dear woman does not shy away from the sound of her own voice. But while all eyes are on this main event, the hinterlands are abuzz with activity as well. 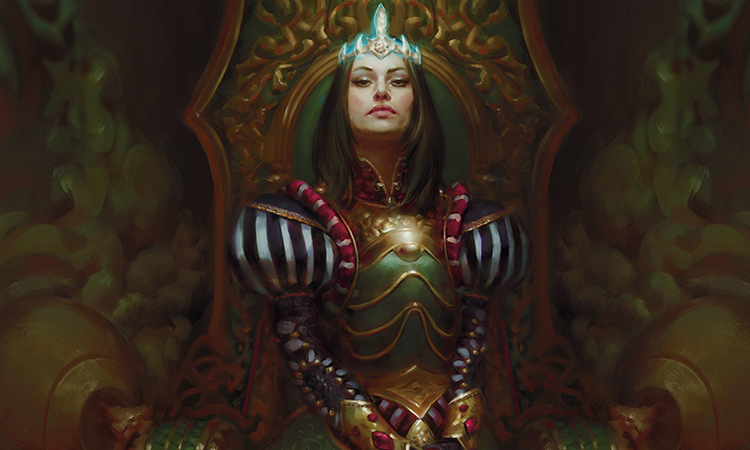 Some, including the illustrious and storied Selvala, are looking to take advantage of the unrest to strike against the indolence and excess of the nobility, who are being so brazenly courted by the new queen. Others wonder what has happened to the remnants of the now-disbanded Academy. Most of its former masters remain in the city, retreating to private workshops (some of which more closely resemble small fortresses) whose lights are lit every night, shadows cast against the walls, until dawn's light dispels them. In all, we sit atop a hill of kindling, as children run with torches in the streets. Contingencies are in place to take action in any of several directions, or we can simply keep our heads down and court favor with the victors. I await further instructions with a capable and steady hand.